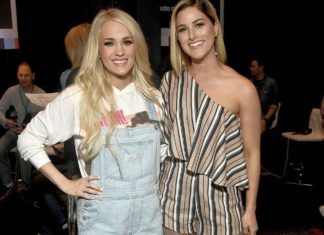 Carrie Underwood rocked a pair of vintage Levi's shortalls during an event for the 54th Academy of Country Music Awards event in Las Vegas this past week. Well, this is a "double first" @Denimology! Actress Joey King - featured here for the first time - and leather overalls. I also don't recall having seen those before anywhere. "Jenny of the Block" was photographed as she was out in Miami, wearing a classic denim outfit: blue denim overalls, a white top, and white sneakers.